As part of the football program’s FBS reclassification process, Liberty opened its newest football facility during the summer of 2017 – the Liberty Indoor Football Practice Facility. 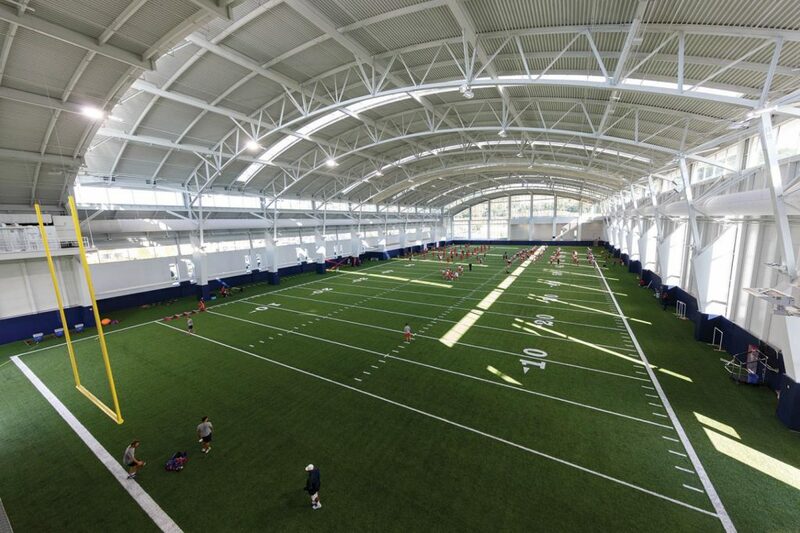 The new $29 million project provides Liberty a full-size indoor football practice field, plus end zones, with a 70-foot ceiling clearance. The facility is located to the Northeast of the Arthur L. Williams Football Operations Center and adjacent to Liberty’s other AstroTurf practice field.